Thank you for the encouragement Julie Newmar! We love you! 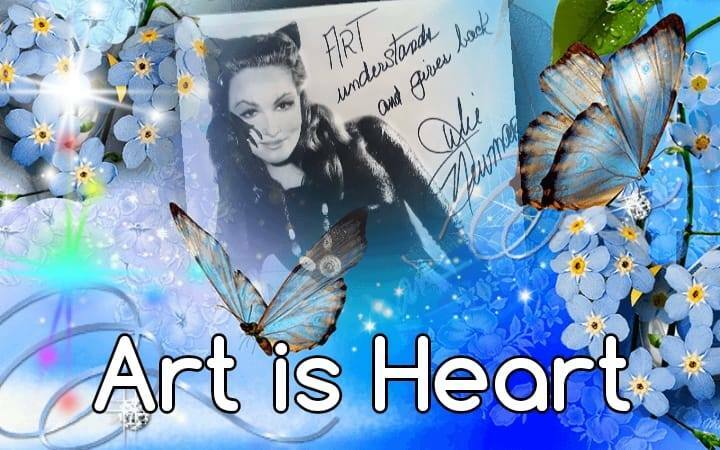 I wrote to Julie Newmar asking if she would do a special encouraging inscription, to “Art is Heart” I was expecting to pay for the autograph. She instead, sent us a care package of a gorgeous photo for us, her book, and even a bookmark all signed to us. Previous La Luz Del Mundo comes into the cultic spotlight as ex-members cry foul. Next Cult Education, Butterflies and Art Therapy Goes Viral Overnight on Facebook.